Grant Davidson of the Hutt News with Jill Westenra and Trish Hina - Hutt City Legend inductees 2015. 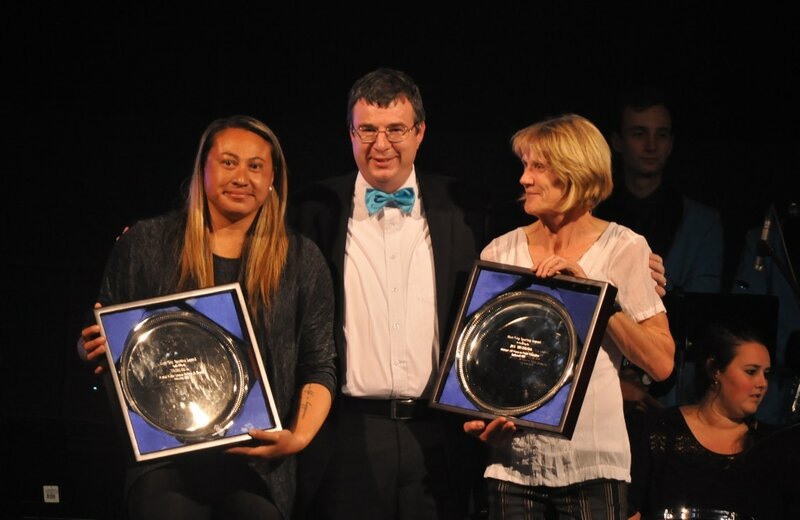 ﻿﻿Each year, since the resurrection of the Hutt City Sports Awards in 2011, sporting "legends" of our region have been recognised. These are people who have shown outstanding success, commitment, and on-going support for their sport, and sport in general in the Hutt. With the merging of the Hutt City and Upper Hutt Sports Awards in 2016, this trendl continued, but expanded to a whole of Hutt Valley award.